Under cloud filled skies, the player travels across the seemingly endless dried-up sea, littered with the remains of a once vibrant seafaring civilization. The game’s world is largely devoid of life, yet filled with places to explore and history to discover. 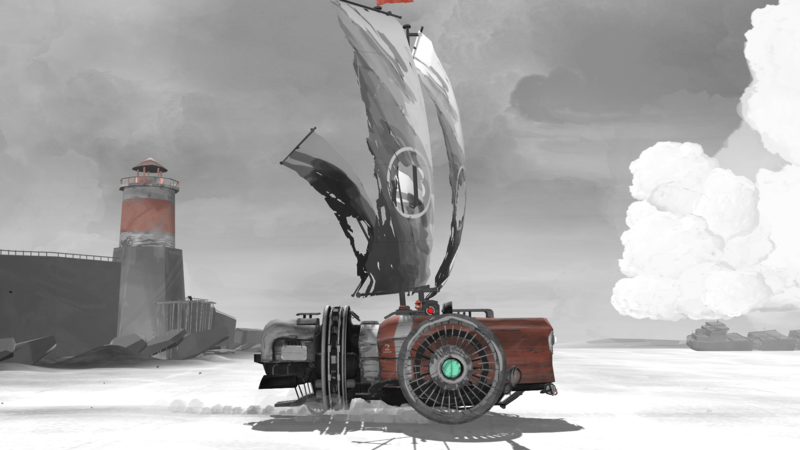 FAR: Lone Sails is nominated for the Creative Gaming Award in the category Most Innovative Newcomer Game.